Writing for the web is different to writing for print. You’re competing with thousands of other sites, your audience’s attention span is short, and you need to turn those idle surfers into paying customers. Meerkat Communications offers a variety of customized writing and editing services, specializing in Search Engine Optimized web content, social media marketing content, and printed marketing materials. We help individuals, small businesses, and larger companies clarify their message and increase engagement with clients and customers. Tell us what you need, and we’ll deliver. 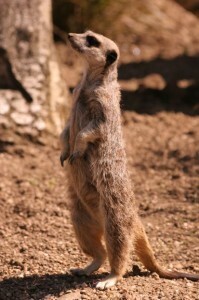 Check out The Meerkat Menu for more or contact us for a no obligation quote. We can make words work for you.